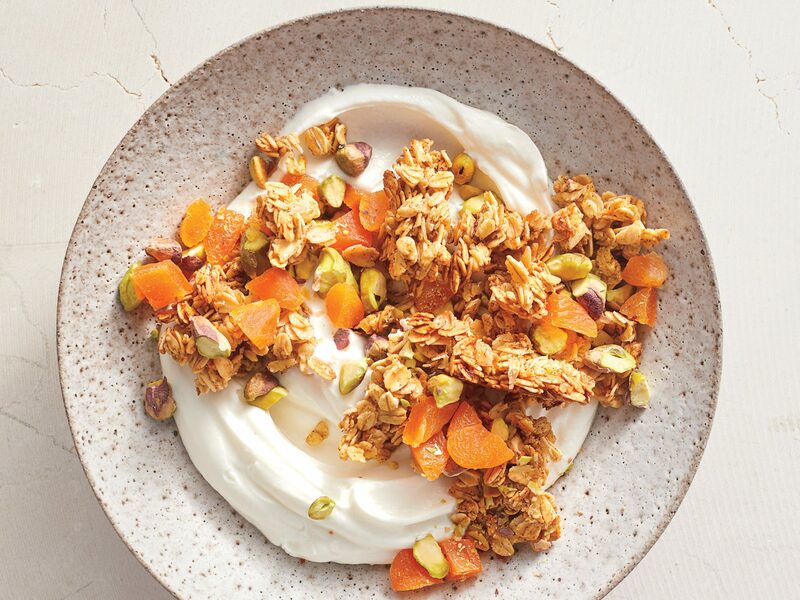 Our Savory Granola is made of crushed sesame crackers, fresh herbs, olive oil, and lemon zest. 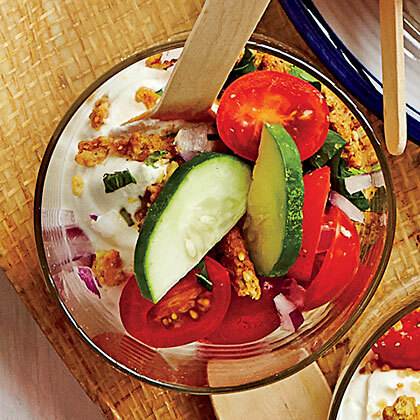 Sprinkle Savory Granola over Greek yogurt that has grape tomatoes, cucumber, and red onion stirred in. 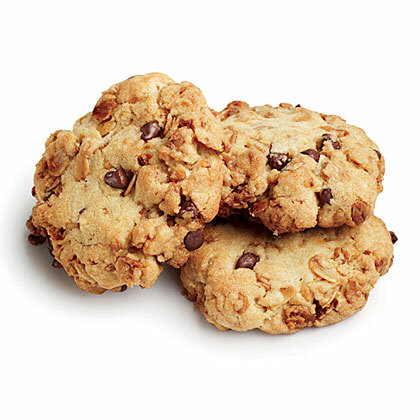 Nutty Whole-Grain Granola is fantastic on its own but also lends that perfect bite to our Quinoa-Granola Chocolate Chip Cookies. 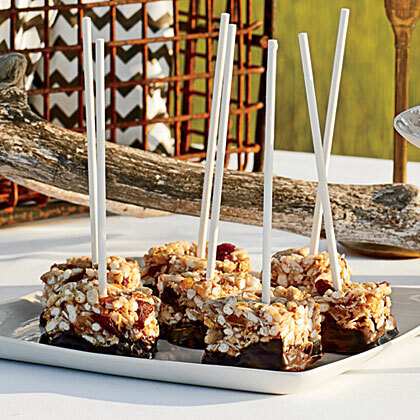 Crunchy and chocolaty with a hint of tropical flavor, Coconut-Granola Rice Cereal Pops take only 15 minutes to prep. 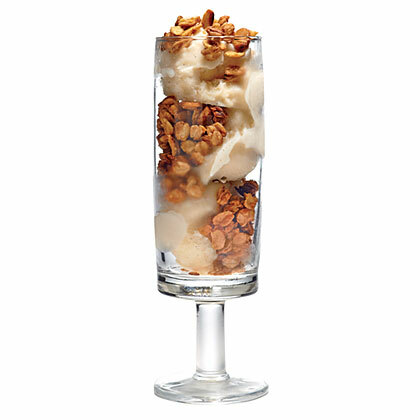 Peanut Butter Granola Crunch Parfaits are the perfect middle-of-the-day springtime snack to hold the kids over until dinner. The first time we tried Marge Granola--a small-batch variety made in Seattle--we knew we were in it for more than a handful. Its creator, Megan Gordon, shares her secrets in her cookbook, Whole-Grain Mornings (Ten Speed Press, 2013; $22). 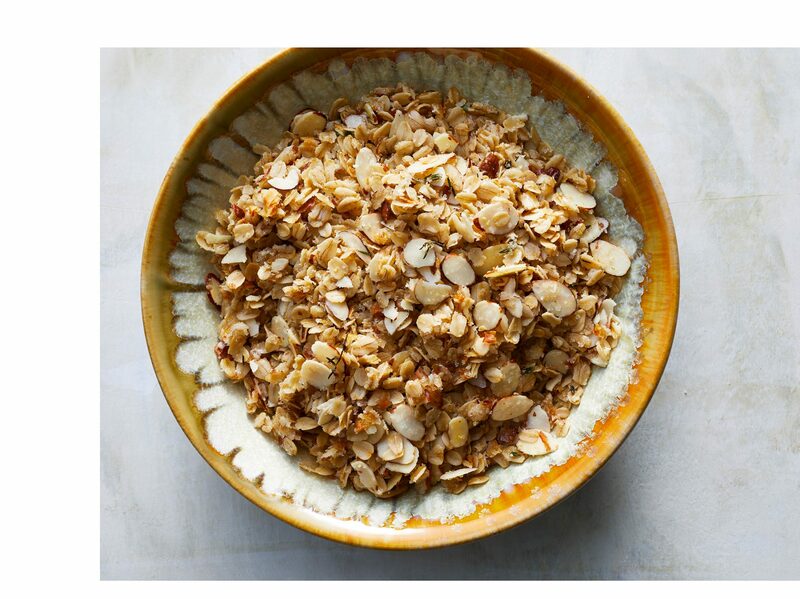 We played with her method to create this deeply toasted, crunchy Test Kitchen blend. 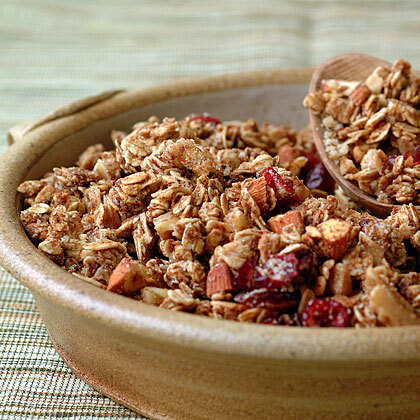 Add a healthy crunch to your breakfast with this delicious low-fat granola recipe. "My friend's original recipe was full of nuts and seeds. 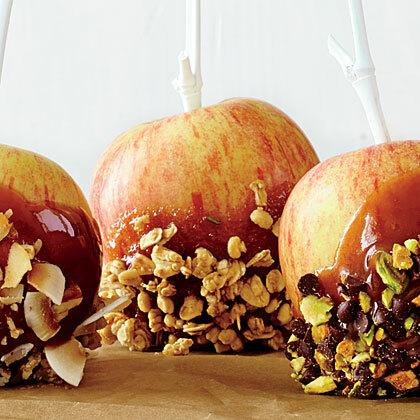 I worked it over and used fruit to maintain the taste," says recipe author Roger Kisner. 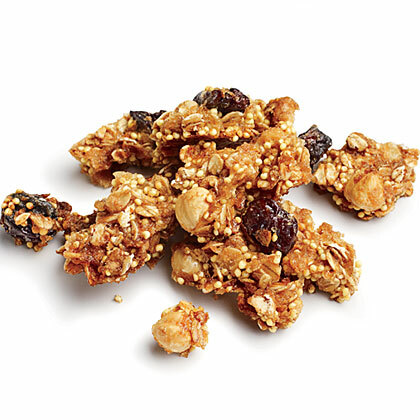 "It has less than half the fat of commercial granola at half the price. I eat it six days a week." 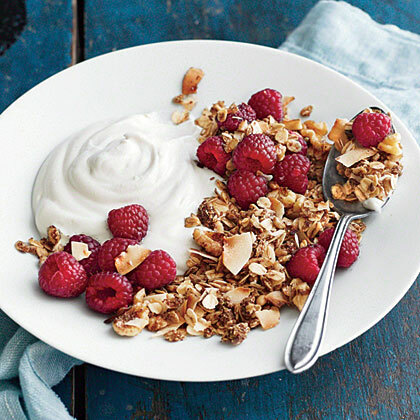 This granola is much tastier and less expensive than store-bought varieties. The baking time is worth the effort. 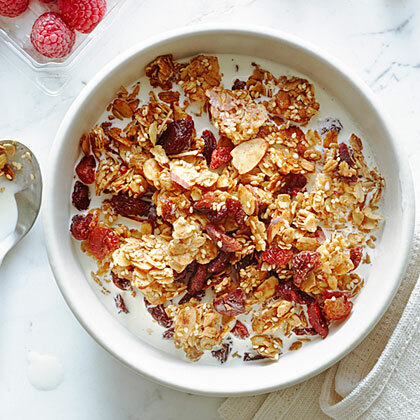 This savory oat and almond granola offers a beautifully salty, delicately sweet, and powerfully aromatic flavor profile, delivered by way of toasty crunch. Though easy to prepare, it makes an impressive and intensely delicious finishing touch for salads, soups, and more (essentially any savory dish you’d be inclined to top with toasted nuts or breadcrumbs. We especially love it sprinkled over this easy and elegant Beet and Labneh Salad. Start your day with Granola Pancakes, fresh blueberries, and skim milk. From the kitchen of Kathy "Mama" Coffey, mamas-southern-cooking.com, Stockbridge, GA"You don't have to sacrifice flavor for a healthy breakfast." 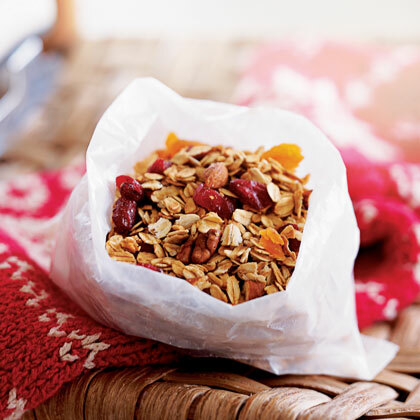 Keep this nutrient-packed homemade granola on hand for a quick-fix breakfast or for snacking. Munch on it dry, add milk, or stir it into yogurt. 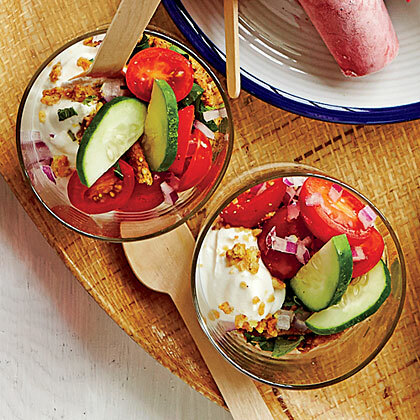 Sprinkle granola on top of yogurt with fruit for a quick parfait. 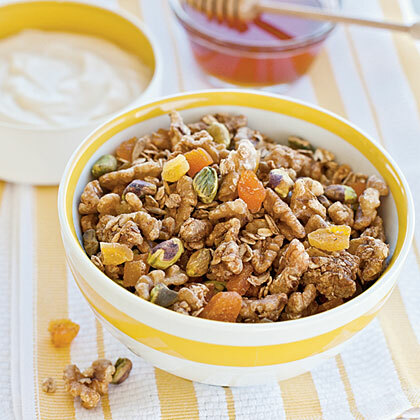 Dried peaches add a unique sweetness to this crisp, summery granola. 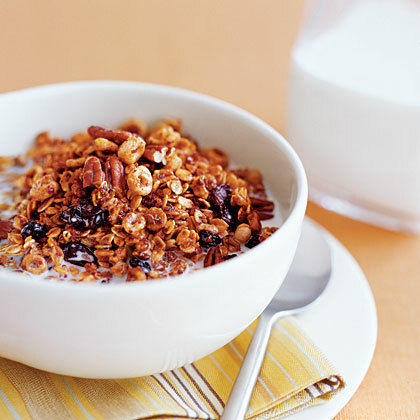 You can substitute wheat germ for the flaxseed meal; look for it on the breakfast foods aisle of your grocery store.